I have to be honest here. I’m pretty embarrassed with how I’m going to write this review. Some may call BS on it, some may understand it, but the bottom line is, I tried. I really did. The person who sat here watching me play the game knows just how much I tried. It just didn’t work out. So… Here goes. My review(?) 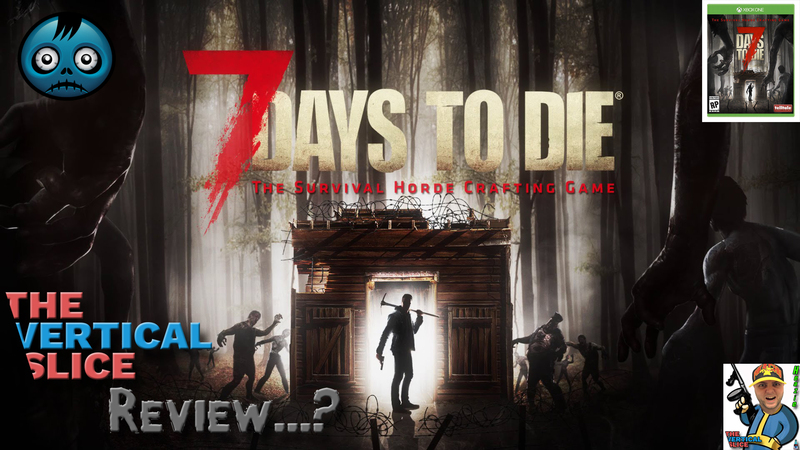 of 7 Days to Die. Now, truth be told, I’m no fan of Minecraft or those style of games, but my motto is “throw zombies into the mix and I can find fun in anything”. And yes, I know Minecraft has zombies, but we all know exactly what I mean. Well, I think I’ve just found the first thing to put a huge dent in that argument. 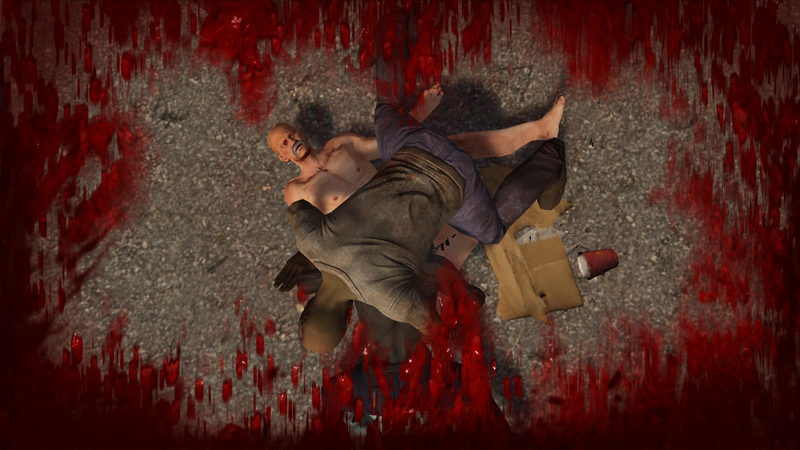 7 Days to Die just isn’t a good game. At least, as it stands. There’s just so much wrong with the console versions that I can’t in any way recommend it to people unless you are vastly aware of the issues and know you won’t find fault in them. I don’t know anyone who fits those criteria, but I do know they exist. 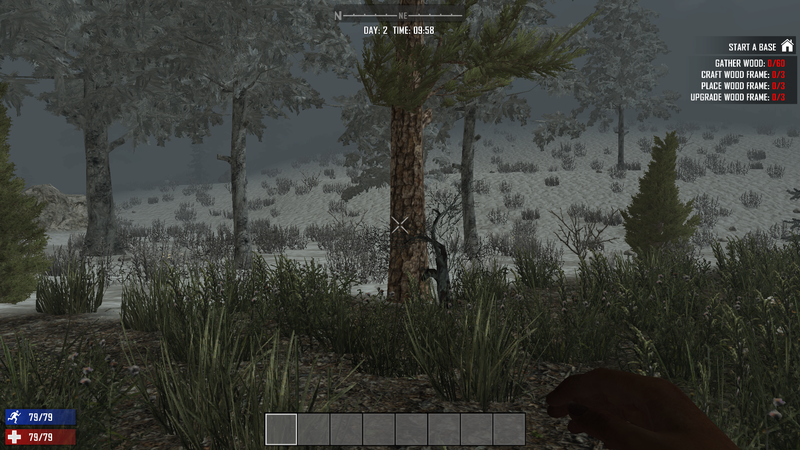 7 Days to Die started on Steam as an Early Access title in 2013. It’s still in Alpha today. PC players really seem to enjoy it, at least based on the user reviews there. It is, of course, a more traditional PC-style game anyway, and with the added benefit of a mouse and keyboard control setup, you can understand why it just works better there once you jump in. It even looks better on PC, but, again, that’s no surprise to anyone. So while the PC game is still in Early Access, us players who prefer to game on consoles have the opportunity to get on board and play it with a retail port from Telltale Games as publisher. In my humble opinion, this feels just like a cash grab and should not have been released this way until it’s in much better shape. So I’m going to jump off speaking about the PC version now and focus on what we as “console peasants” have available to us. Great promo art. Too bad I didn’t find this game. The first thing you’ll notice about the game the moment you get into it would be the poor graphics. The textures are muddy. They’re bland. Nothing stands out as anything but blah at best. It’s disheartening. Yes, graphics aren’t everything, but they damn sure help. This is shown on everything, from grass/plantlife to buildings/cars, to the zombies and animals themselves. Everything looks like a mess. Yes, I will say they seem to have made the graphics a little better since launch, but they still don’t look pleasing. Even the animations are poorly done. Zombies move so oddly, and by the same token, so do the animals when they do decide to move and not look like statues. 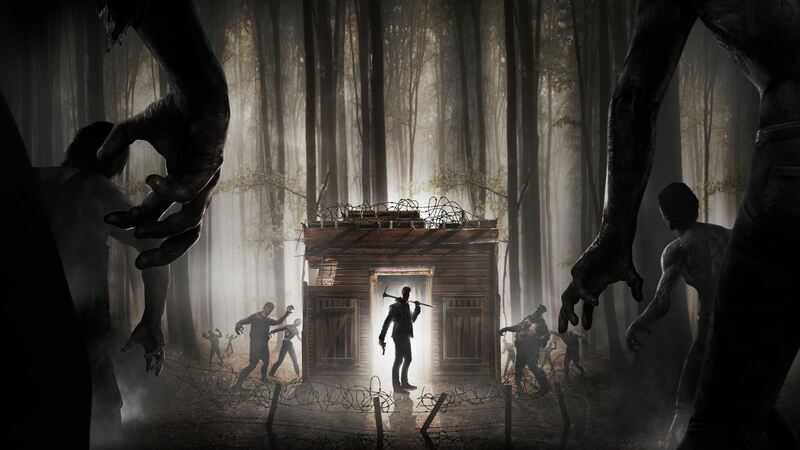 There are a decent amount of zombie and animal types from what I’ve been able to notice, but the way they move and act leaves too much to be desired. Even your movements can seem too jerky, especially with a trail of biters on your tail. And good luck trying to jump up to higher ground when that happens. It just seems like the game decided that if you’re being chased, the initial jump you take to get up onto a car or rock was as if you hopped a few inches when you needed a couple feet. The menu system is really awkward to use. I can never find the right balance with what they locked the keys to. I either move too slow with the clunky and many menus, or I hit the wrong buttons because what they bind everything to is odd. Even after playing for a while I still find myself struggling with the menu system because it’s all so awkward to look at and use. I get that this is not the PC version and the game is best optimised for that platform, but a little help in reworking the menus for consoles could have gone a long way to show you cared about player enjoyment. Get used to this scene. You’ll likely be eaten/humped often. The music is sparse and when it does kick in, it seems to do it out of nowhere and without context most of the time. We mostly just get random sound effects and the noises of whatever is around us, and also the weather that can crop up and disappear without a moment’s notice. The sound also randomly just disappears, too. Like, a full-on dropout. There’re even issues with the zombie sounds. Not with how they sound necessarily, but in the volume of the noises. They could be nowhere near you in regards to spotting you, but sometimes it sounds like they’re right on top of you. It’s jarring. The weather is just not good. It doesn’t work. Any time there’s an area with fire fallout it seems to be raining without any sign of stopping. When you die (and you will) you restart with lower stats and your inventory empty, but you still keep the quests in the order you’re on. What the issue there is it keeps your stats showing as if you have the proper ingredients already, which is based on the time before you died. So, say you need 3 of something, and you get it, then die. When you respawn on empty, the stats still show you have the 3, so it can be confusing because you have to reacquire the items. Just like everything else, I found it annoying. The frame rates are horrendous. Every 20-30 seconds it dips, drops, and downright stalls you, but everything in the world around you, zombies included, keep going like normal, so it really hinders you to the point of it being a big problem. I will concede they have made this portion better because at launch it was every 10-15 seconds you’d be strangled by the poor frame rate. Why is there a delay when you press to pick up an item? Why does the lag only lag for you and not the enemies and environment? I find myself saying “why” too often. 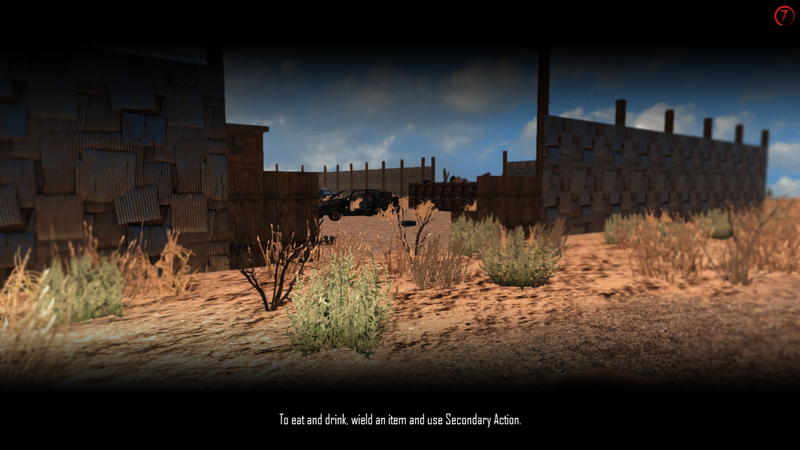 The whole point of the game is to survive by any means necessary and after 7 days a giant horde of zombies comes to attack your base. The goal is to stock up, craft, and be generally well enough to do so when it happens. Eat, drink, sleep, stave off diseases, etc. The grind to get to the hook could not be more boring, annoying, and just downright tedious in my view. Everything is just too clunky. Everything has “hit points” so that you know how much is left before it breaks completely, but guess what doesn’t? Zombies. You’ll attack with blunt weapons, your hands, even guns, and no matter how much you hit them, you never know when they’ll go down for good. Hell, me shooting a zombie in the face numerous times didn’t kill it. It got back up and killed me after taking a 10-second nap. For a game to release at retail (no matter the cost) looking like this, performing like this, um, everything like this, it just really feels to me like they needed to make a quick buck. I’m sure it’s working. I just wish it didn’t happen like this. I really wanted to get into this game, I truly did. There’s just nothing here right now that makes me want to continue, and I know my girlfriend is tired of me complaining about slogging through it. Look, I will have to commend whoever is handling the patching of the game, because on their Facebook page they’re constantly updating, asking for feedback, and letting everyone know what the patch situations are. I will eventually come back to this. I do feel like there could be something here that could be halfway decent. I just hope they don’t give up on it before the game gets there. I will re-review the game down the line if I feel it warrants it. I hope it gets to that point because I do want to get into this. As it stands, I can’t force myself through any more of it right now. Which makes me really sad. I love zombies. I should love this. I really don’t. 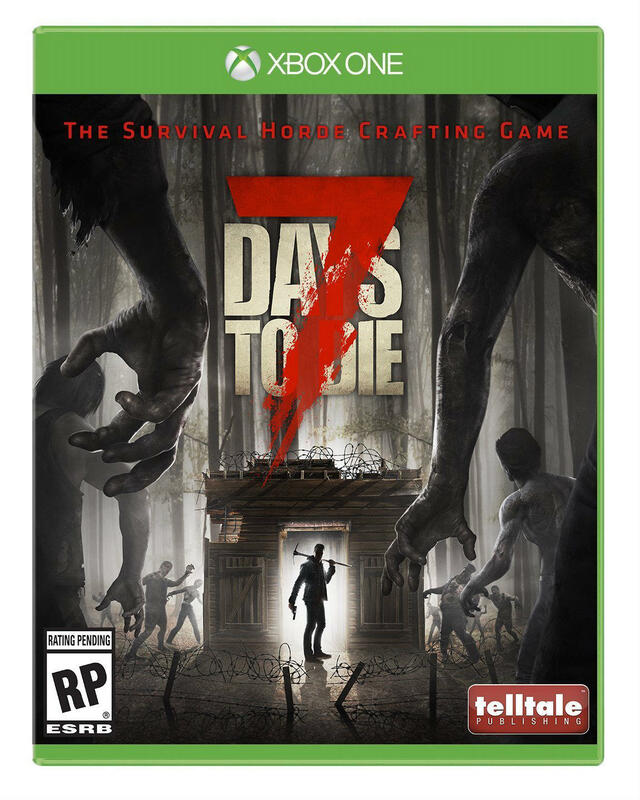 7 Days to Die is available now on Xbox One and PlayStation 4 for $29.99. It’s also available on Steam in Early Access for $24.99. A copy of the game was provided by Telltale Games for the purpose of this review.